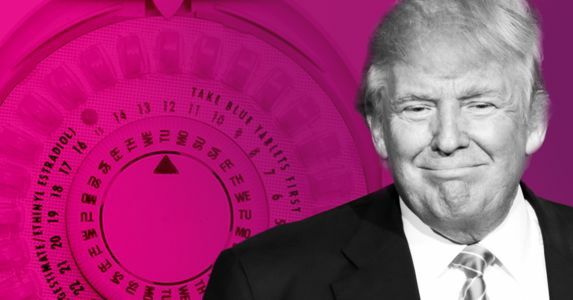 The Trump administration has announced a rule that would undermine the Affordable Care Act's requirement that all insurance plans must cover birth control — a provision that's already benefited 62.4 million women. Better access to birth control has brought unintended pregnancy rates overall and among teens to the lowest they've been in decades, and saved women $1.4 billion in 2013 alone. Stripping away this access also strips women of their ability to control their reproductive health, from planning pregnancies to treating chronic health conditions. Birth control is essential health care that nearly nine in ten women will use in her lifetime. Send your message to the Trump administration now to say you won't stand for this attack on our health care. Don't block access to no-copay birth control. I'm writing in strong opposition to your rule which would radically change the Affordable Care Act's provision requiring insurance plans to cover birth control. Birth control is essential health care -- and 62.4 million women have already benefited from the Affordable Care Act's birth control provision. Better access to birth control has brought unintended pregnancy rates overall and among teens to the lowest they've been in decades, and saved women $1.4 billion in 2013 alone.